The Outlander series and books have amassed a huge following, thanks to both the captivating love story between Claire and Jamie but also the breath-taking landscapes that serve as a backdrop to their journey through time. But did you know that many of the memorable scenes from the TV series were actually shot in real-life locations near Eastside? Eastside Cottages are perfect base for exploring many of the picturesque Outlander locations. 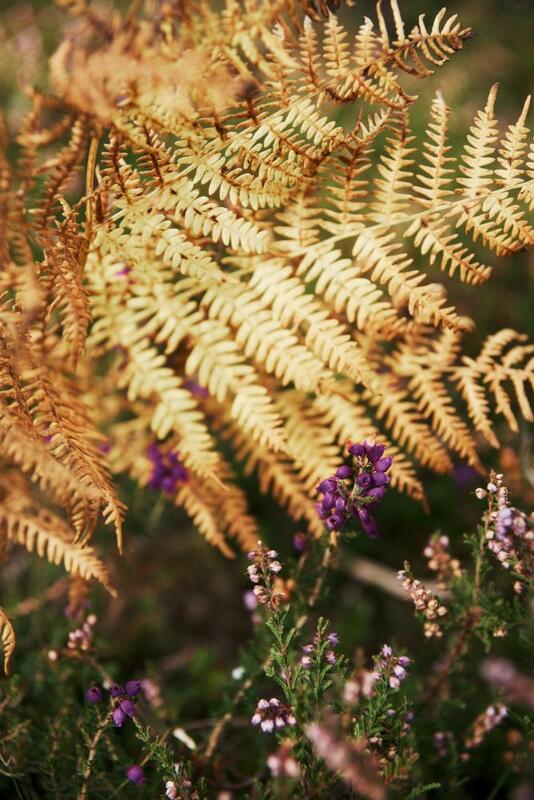 With our scenery, heather hills and spectacular views you could easily imagine you're in the Scottish Highlands. 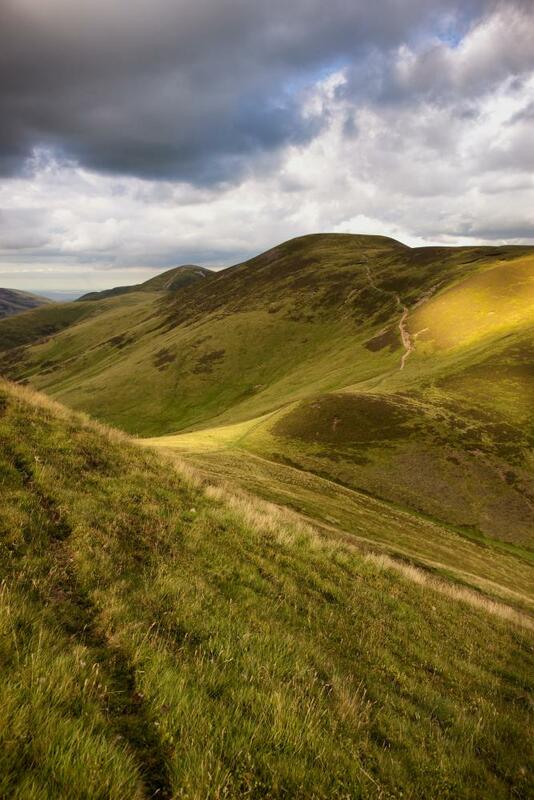 The surrounding hills offer walking opportunities aplenty. The romantics among you will covet the views, the waterfall, and the beautiful picnic spots nearby. Explore Edinburgh, our coast, castles, and cafés before finishing the day snuggled up by the embers of the log fire with a dram of your favourite whisky. Craigh na Dun and Castle Leoch are fictional and Outlander author Diana Gabaldon may have used a little artistic-licence but her romantic vision of Scottish castles and spectacular scenery are inspired by real places and real Scottish history. 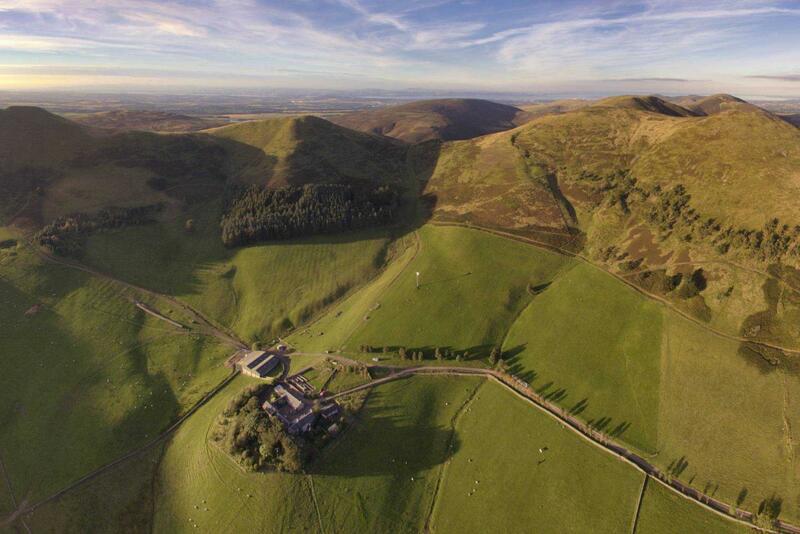 Many of those places aren’t far from Eastside and Edinburgh; why not explore the breathtaking land of Claire and Jamie. 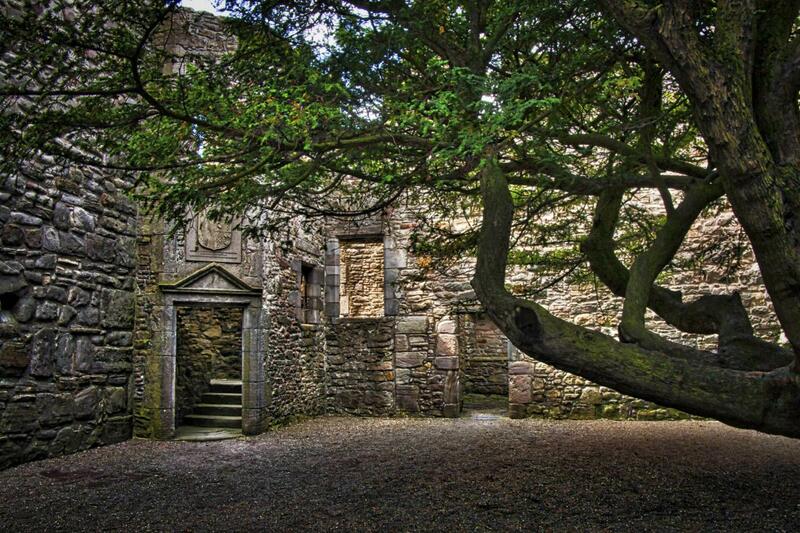 First on the list of Outlander locations is Glencorse Old Kirk. Any Outlander fan will recognise the grounds around the Glencorse house as the very place where Jamie and Claire tied the knot in Season 1. You too can get married here in the historic Old Kirk! If you want to immerse yourself in the romantic beauty of the place, make sure to arrange your visit in advance; the house lies on private grounds. On the other hand, if you find yourself near Edinburgh and in search of more fantastic Outlander locations, make sure to drop by Hopetoun House. It lies near South Queensferry and doubles as the backdrop for the Parisian streets and the Hawkins estate in Season 2, as well as the home of the Duke of Sandringham in Season 1. 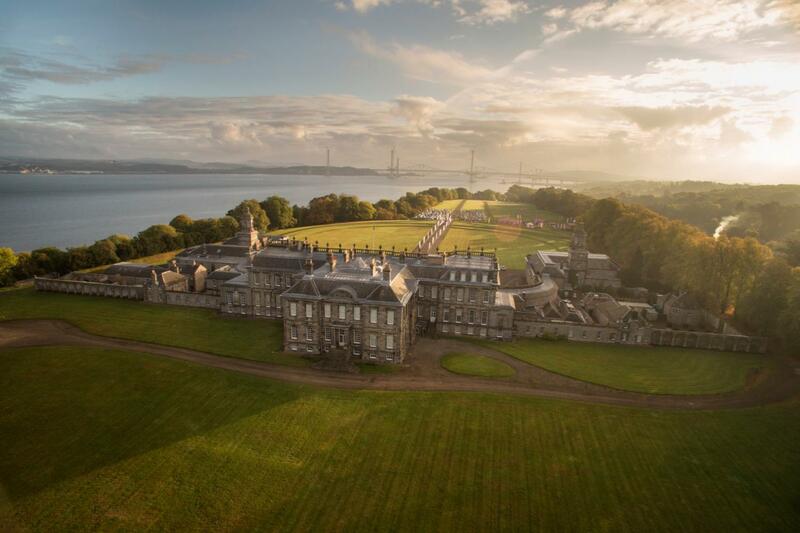 Hopetoun House actually lies on the same estate as the Midhope castle (next on our list)! The grounds and house are open to the public all the way from April to September. Midhope Castle, known in the series as Lallybroch, is the family home of Jamie Fraser. Located on Hopetoun Estate, the castle dates back to the 15th Century. The castle is situated in a private area of the estate but visits can be made by arrangement. Full contact details and admission prices are available on their website. Roslin Glen is well worth a visit with the meandering river valley settling the scene for Jamie asking Claire for an apology after rescuing her from Fort Willian in season 1. The location is at the North end of the glen where there are ruins of a gunpowder factory known as Old Mill Lade. The park is open year round and managed by Midlothian council. They have maps and information on their website. Bakehouse Close is one of the best preserved parts of Edinburgh’s Old Town. It is here in Season 3 that Jamie has set up a print shop under the pseudonym Alexander Malcolm before his emotional reunion with Claire. Initially home to bakers and metalsmiths, the close is easily accessed off the Royal Mile in the city centre. The court was used in season 3 as an 18th Century Edinburgh street. Named after former resident the Marquess of Tweedale, the court has a rich history of famous residents and unsolved murders. The present day court lays claim to Edinburgh’s smallest listed building (a sedan chair house)! Craigmillar is where the scenes of Ardsmuir Prison are shot early in season 3. This is where Jamie and his Jacobite companions find themselves after the battle of Culloden. Craigmillar is know as Edinburgh’s ‘other castle’ with spectacular views over to Holyrood Park and Edinburgh Castle. Mary Queen of Scots stayed in the castle as the guest of the owner Sir Simon Preston in 1566 only for him to turn jailer when she was arrested 11 years later. The Castle is managed by Historic Scotland and open throughout the year. You might be surprised to learn how many of the scenes in the second season of Outlander were actually shot not in France but Scotland. One such example is Gosford House which doubles as the Stable Building at the Palace of Versailles in France. 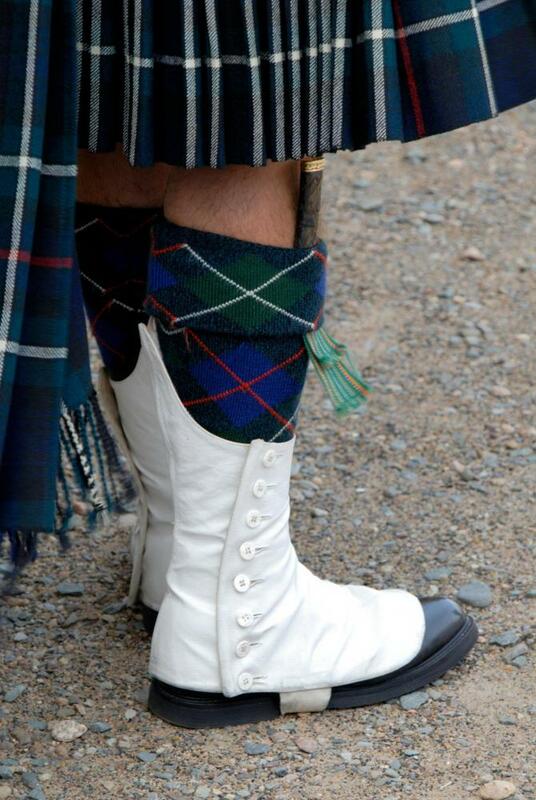 If you want to step into Jamie’s and Claire’s shoes as they desperately tried to make good with the Bonnie Prince Charlie in the second season, make sure to arrange your visit in advance as this Outlander location is only open on certain days of the year. 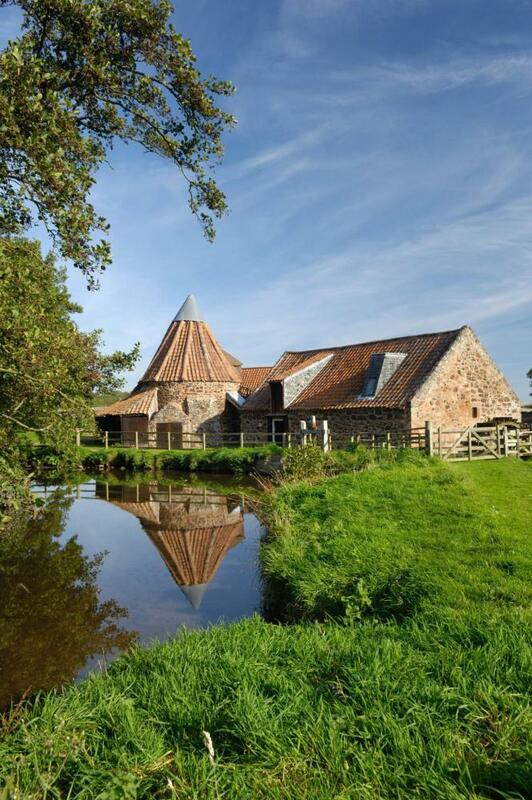 On an East Lothian day trip check out Preston Mill, located in the village of East Linton. Preston Mill is one of the prettiest Outlander locations and also the oldest working water-driven mill in Scotland so it may provide a nice distraction from the gloomy atmosphere of the Blackness castle. Remember the scene when Jamie lost his shirt while hiding from the Redcoats? It’s unlikely that you’ll run into another shirtless Highlander on your trip there but Preston Mills is still worth visiting! The Mill is managed by the National Trust for Scotland and you can book a tour of the interior from May to September. 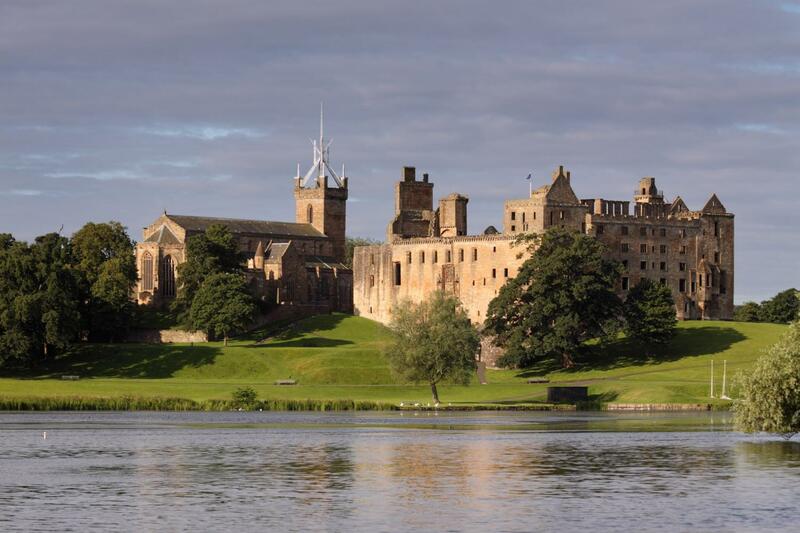 The ruined interior of the historic Royal Burgh of Linlithgow, or Linlithgow Palace, is another Outlander location worth exploring. It’s where most scenes of Jamie’s incarceration at the Wentworth Prison were shot but the castle is also where the famous Mary Queen of Scots was born. It’s rich not only in history but if you go up the tower, you can spot some sweeping views of the surrounding areas. The Palace is managed by Historic Scotland and open throughout the year. Head towards Callendar House and Park, another Outlander location situated in Falkirk, near Edinburgh. The authentic 14th century French chateau-styled house features a working Georgian kitchen and was used as part of the home of the Duke of Sandringham in season 2. Through wars, rebellions and the industrial revolution, Callendar House has played host to many great historical figures over the centuries, including Mary, Queen of Scots, Cromwell and Bonnie Prince Charlie! Take a tour of the house, its grand rooms and magnificent sweeping staircases. 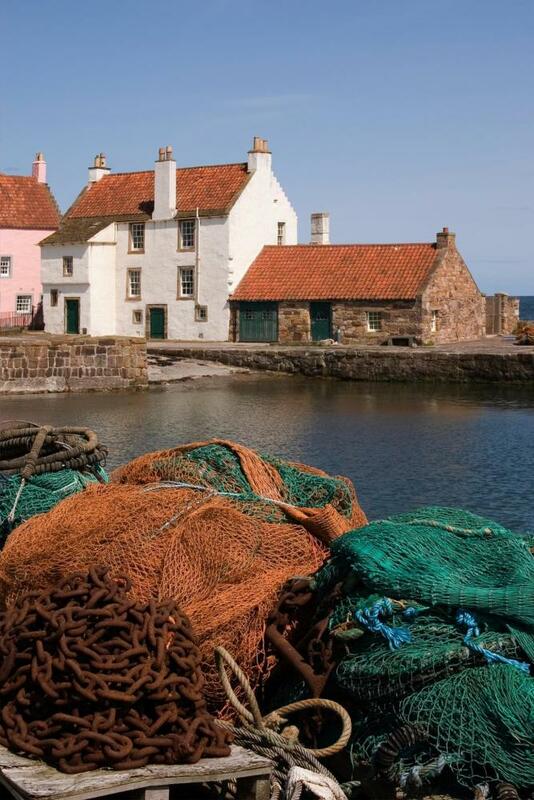 If you want to get a sense of what a Scottish town in the 17th and 18th century looked like, go no further than Culross. You’ll soon recognise Its narrow cobbled streets as the quaint little town where Geillis lived, and also the backdrop to many of the scenes during the Jacobite encampment. 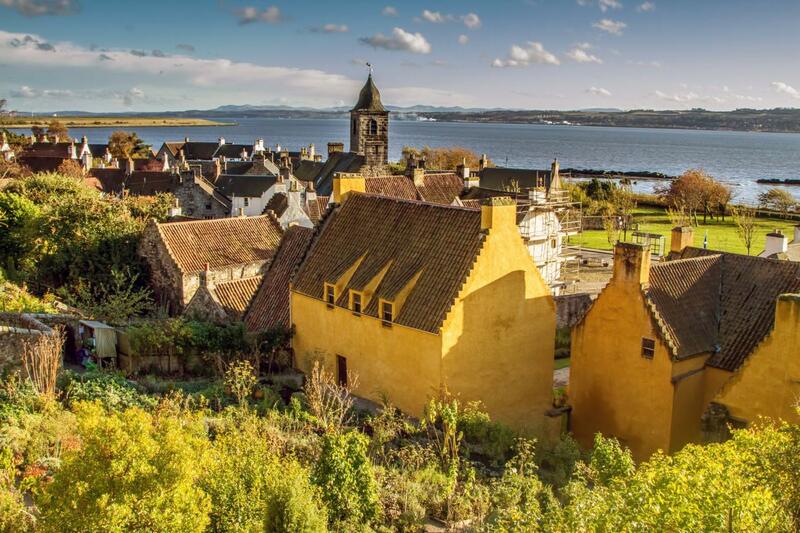 Take the time to visit the impressive Culross Palace with its distinctive yellow exterior – this is where Claire’s herb garden was located. 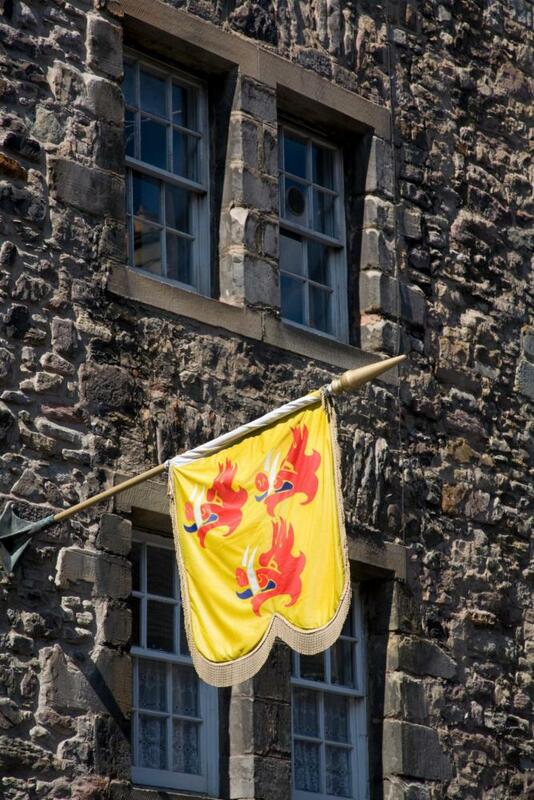 Managed by the National Trust for Scotland and you can book a tour of the Palace & town from April to October. 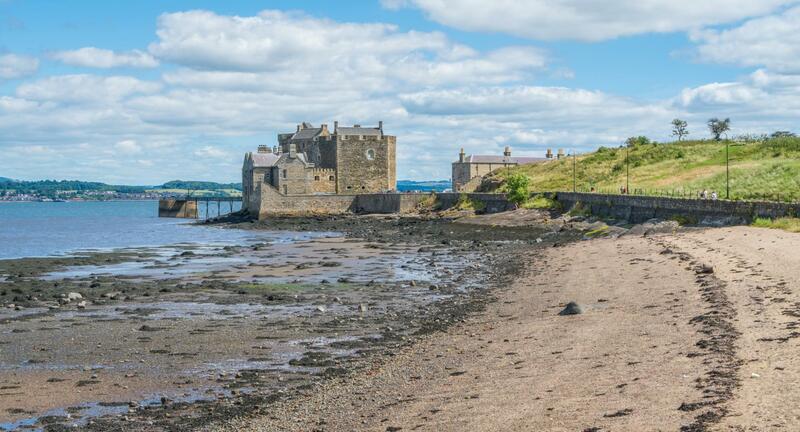 Standing looking out over the Firth of Forth near Edinburgh is the impressive Blackness Castle – a gloomy though magnificent 15th century fortress where the gut-wrenching scenes of Jamie’s incarceration in seasons 1 and 2 were shot. The Blackness castle is one of the most interesting and complete Scottish castles, rich in history that permeates the stone walls. If you’re a romantic by heart, take a short drive away from Edinburgh and you will find yourself at the Bo’ness & Kinneil Railway in West Lothian. This is the very place where Claire and Frank bid their farewells and the show’s producers have done a marvellous job of transforming the place into the 1940s London railway. 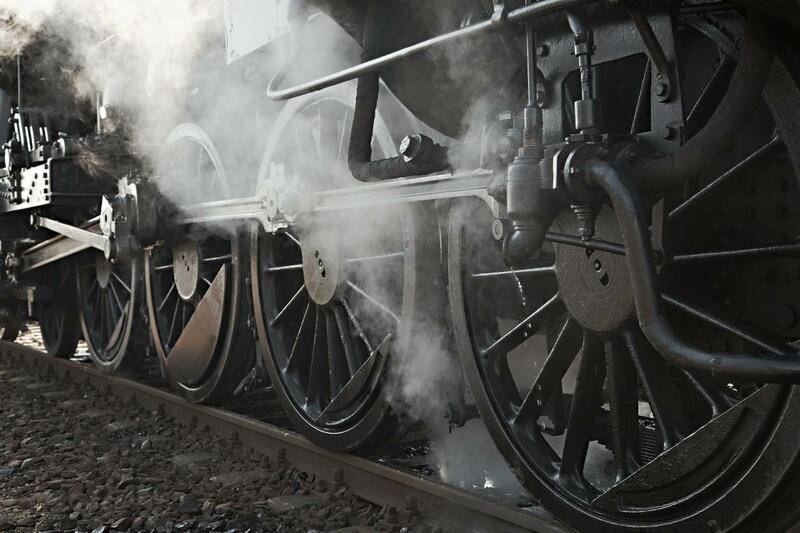 Passenger steam trains only run on certain days of the year so make sure to check the timetable in advance – Soak up the atmosphere of this heritage railway, travel by steam train and enjoy an afternoon tea on board! Named Visit Britain’s most unusual and instagrammable afternoon tea! Aberdour Castle is the Outlander fictional monastery where Claire and Murtagh bring Jamie to recover after his prison ordeal. 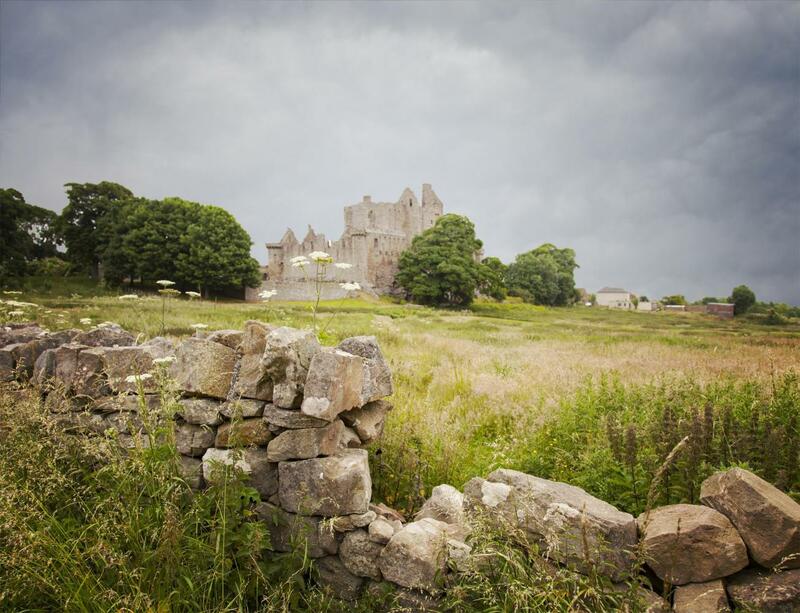 The castle dates back to the 12th century which arguably makes it the oldest castle in Scotland, and the breathtaking ruins once served as a luxurious home during the Renaissance. If you want to go even further on Jamie’s and Claire’s journey, don’t miss this wonderful Outlander location either: the picturesque Dysart harbour portrays the French port of Le Havre in the 1740s (another “French” location you may not believe was actually shot near Edinburgh!). This is where Claire and Jamie land when they escape to France, and where they meet their new nemesis, the Comte St. Germain. Situated right on the Fife Coastal Path, Dysart Harbour near Kirkcaldy is part of a conservation area retaining many original buildings. The Harbourmaster’s House offers refreshments. Opening times on the website. You can also see the Reaper, one of the vessels seen in the Le Havre port in season 2. The ship is one of the last authentic survivors of her kind and has been restored to her original look, and berthed at the Scottish Fisheries Museum in Anstruther. If you want to see the historic Reaper face-to-face, you can arrange to access the ship but you need to get in touch with the Scottish Fisheries museum in advance. Falkland, Fife, is actually where the scenes of 1940s and 1960s Inverness were shot. Mrs. Baird’s B & B is the Covenanter Hotel in real life, and some of Falkland’s streets were used as the backdrop in several other episodes of season 2. The village is well worth a visit and is particularly know for Falkland Palace, once the countryside royal residence of the Stewart kings and queens. 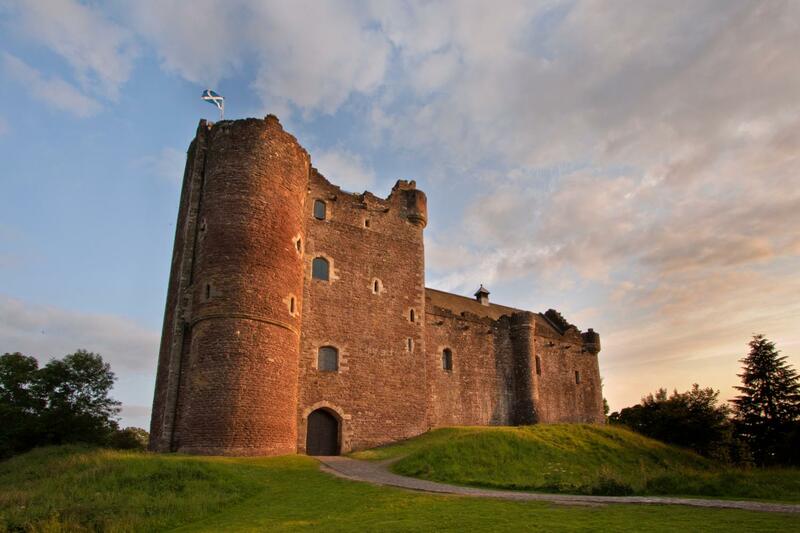 Last but certainly not least on our list of Outlander locations is the Doune Castle, located near Stirling. The real-life Doune Castle is a 14th century building featuring a striking 100ft high gatehouse but you will undoubtedly recognise it as the fictional Castle Leoch, home to the MacKenzie’s clan in the 18th century. Walk in the footsteps of real and fictional rulers and experience one of the best-preserved gate-halls in Scotland!